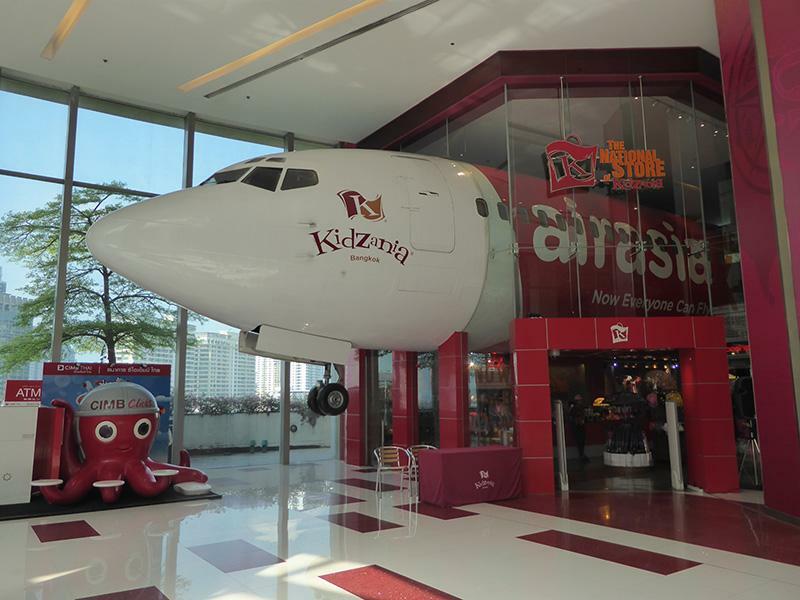 Kidzania is an Educational play center with worldwide locations themed as a child-sized replica city with buildings, shops, and vehicles moving around its streets. Children aged 4-14 pretend to work & earn money. There is a variety of Jobs for them to choose from. The jobs are sponsored by well-known companies some International such as Coca-Cola and McDonalds and others local to the host country. The children are paid for their work in kidZos which they can spend in the city’s shops and on other activities. The Children open a bank account and are issued a debit card which they can use in ATM machines around the city to withdraw KidZos. There is a parent lounge with TV, WIFI, computers, reading room, coffee shop, and restaurant. Parents of children under 8 years old are not allowed to leave the premises while those aged 8 or over may leave their children and go outside the premises. They are not allowed to accompany their children into the city but can take part in some activities. All the children are chaperoned by adult staff and wear electronic bracelets so they can be easily tracked. The jobs available include artist, car mechanic, beautician, production engineer, detective, sales agent, dancer, bell ringer. Also urban climber, construction worker, sales assistant (at 7-11), delivery agent, court officer, chef, dentist, designer. Other jobs are IT specialist, model, fireman, pilot, gas station attendant, factory worker, burger flipper (for McDonald’s), sushi chef. Also Doctor, sales rep, musician, reporter, magician, photographer, police officer, DJ, secret service agent, athlete. Also cheerleader, actor, TV presenter, university student, farmer, security, researcher, vet and more. Uniforms are provided for the relevant job and must be worn. The children are trained for each job and then take part in a realistic role-play activity where that training is put to appropriate use. For example firemen get to ride a mini fire engine and put out a real fire with real water, pilots get to fly a simulated take-off and landing in a replica Air Asia 737, chefs get to cook a real meal and eat it, doctors and dentists get to treat lifelike dummies in replica hospital facilities, car mechanics get to change the wheels on a replica car, models get to take part in a fashion show and sales reps can roam the city selling services such as insurance to other kids while banking the commission. The educational aspect of this is that it shows in a realistic way how jobs are done. Children are also allowed to go shopping and watch shows, take a driving test, and take a sightseeing tour of the city on the tourist bus. All of this takes part in a city that features scaled-down child-sized replicas rather than life-size. For children aged 4 and under, there is Urbano’s House which features educational toys and activities suitable for younger children. 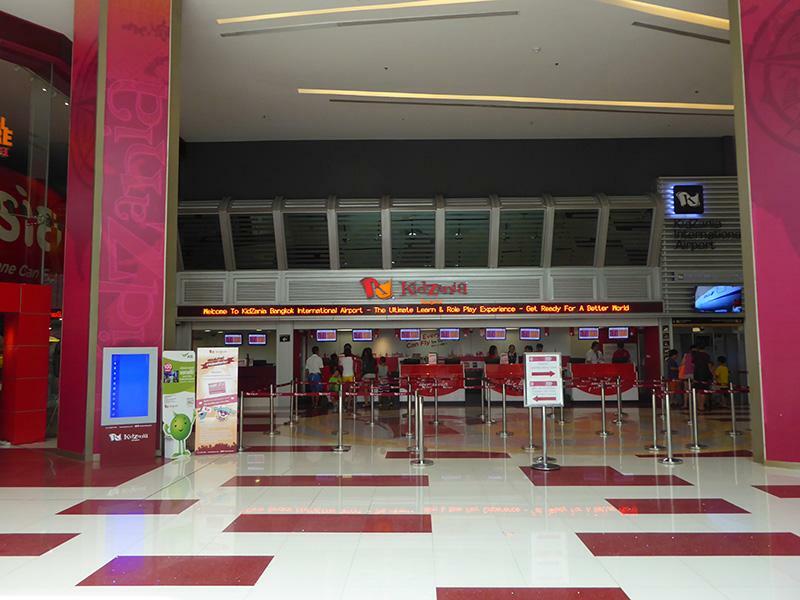 The number of activities your child can do is unlimited though the average time spent in Kidzania is 5 hours. You need to plan your child’s choice of activities before you start. Each activity takes between 15-45 minutes so you need to be selective. Location: 5th Floor, Siam Paragon. Kids get a free 50 KidZos voucher and the number of activities is unlimited during the admission period. No re-admission.